I read Tolkien’s “Canon”, that is, The Hobbit, The Lord of the Rings, and The Silmarillion, every year about Christmas. So also this year. When I read through the first chapter of The Fellowship of the Ring again, I stumbled over all those small things that remind about The Hobbit. 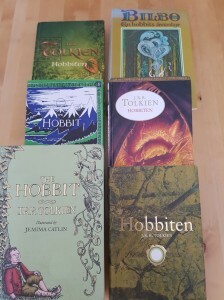 Going through them more systematically, it is clear that Tolkien started out wanting to create a sequal, and he uses a lot of small details to bind the first chapters of the new book closely to the previous one. 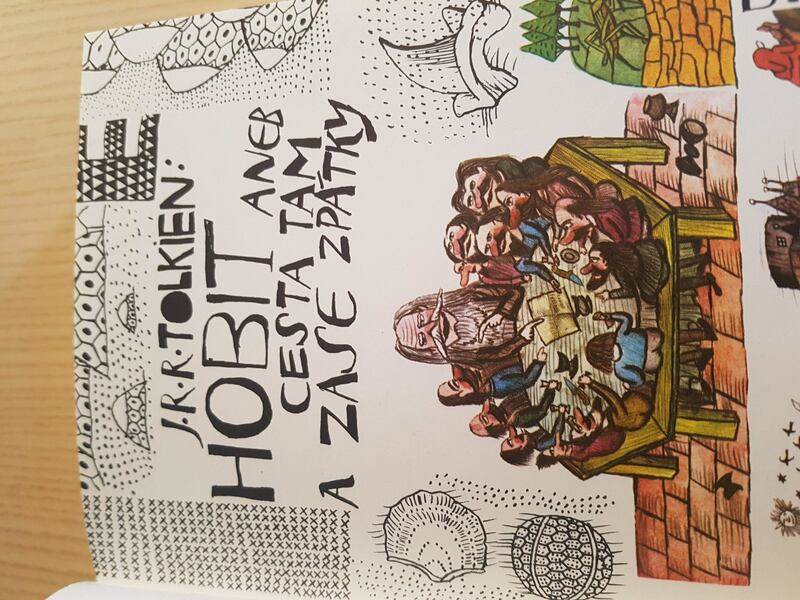 Starting with the title, A long expected party, of course closely mimicking the Hobbit’s first chapter An unexpected party. During Bilbo’s feast, Gandalf shows off his firework display, as he did on the Old Tooks parties a long time ago, according to The Hobbit. The firework elements themselves reminiscing parts of the story of the Hobbit. The trees of Greenwood the Great (or Mirkwood if you like), complete with butterflies. 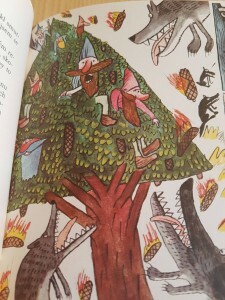 Then there are the eagles, a thunderstorm, an embattled army of elves with silver spears, and of course, the mountain and the dragon as the Grand Finale. Then Bilbo holds his speech, reminding the bored guests about his coming to Esgaroth on his 50th birthday, before he makes his special exit. After Bilbo has disappeared in a flash and a bang, and left 144 flabbergasted guests back in the pavillion, we follow him and Gandalf back into Bag End. 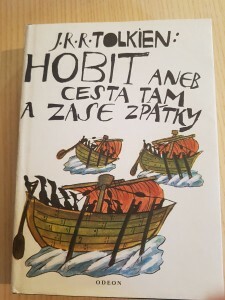 Here we see him pulling out his old treasures from The Hobbit; His sword Sting, the green cloak and hood that he borrowed from Dwalin (rather too large for him), and of course, his journey’s diary, the actual Hobbit book itself, nicely written into the story, and, as he tells Gandalf, he has written an end for it: “And he lived happily ever after, to the end of his days”, like the book actually ends. Gandalf reminds Bilbo about the will – the contract with Frodo if you like, that should be put on the same place as Bilbo found his own contract 77 years earlier, by the clock on the mantlepiece. He then sets out with dwarves, again. At Crickhollow, the evening before the hobbits set out together, Merry and Pippin has made a song mimicking the song the Dwarves sang before Thorin and company set out. Out on the road, Frodo and his merry followers visit a tavern, like Thorin’s travelling party is said to have done too. They enter the wilder region, and Frodo and company sees the hills with old ruins on them, just like Bilbo did. After crossing the same stone bridge, they even discover the trolls that Gandalf tricked to stay out until the dawn made them to stone. Finally, the second book of the Fellowship starts with a rest in Elrond’s house, as did Bilbo. 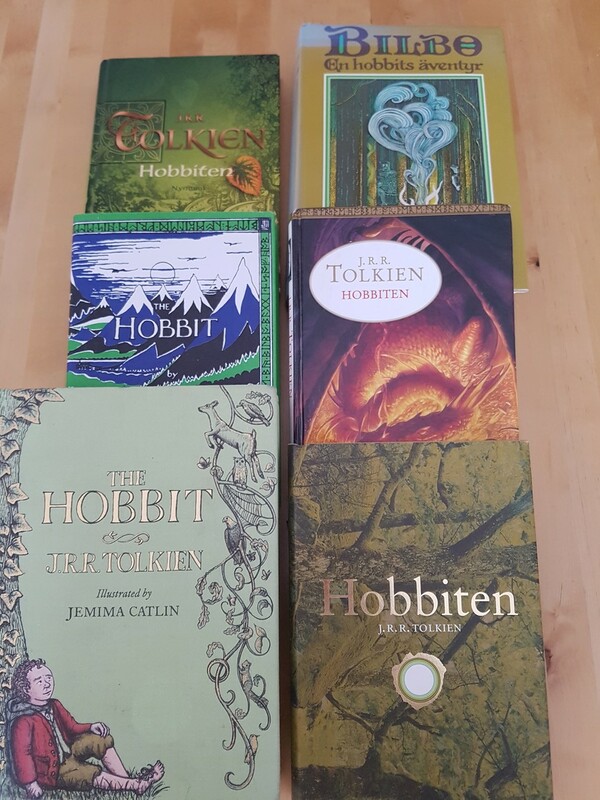 Tolkien’s eye for details gives the fans of The Hobbit great value for their money, and a world full of small well-known nuggets to get comfortable before the quest takes off into the parts of Middle-Earth where they have not travelled before. 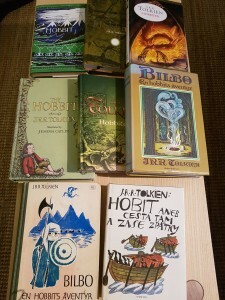 Are there more hints of the Hobbit in The Fellowship of the Ring than those listed here? I probably missed a lot of them. 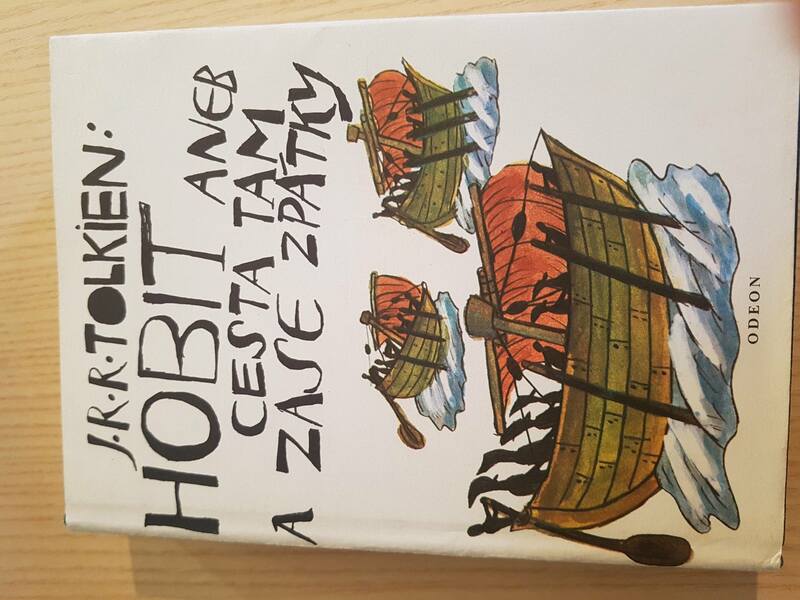 There is said so much about this book already, so instead of adding more non-interesting chatter to the World, I’d rather again this year show off my latest acquisition to my Hobbit collection: The first Czech edition of the Hobbit: Hobit aneb Cesta tam a zase zpátky. This version is a bit special; its first release came in a country that no longer exists, Czechoslovakia, in 1978. 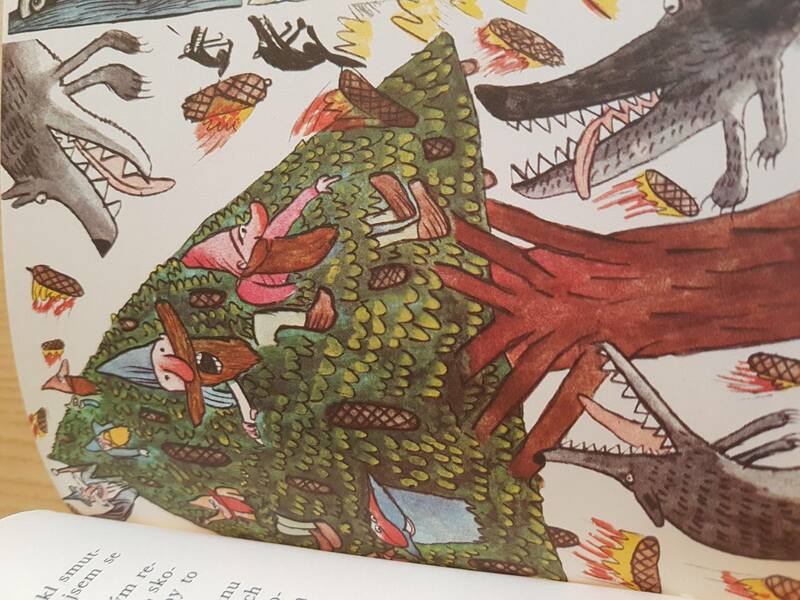 It has strange and gorgeous illustrations by Jiří Šalamoun, resembling a humorous naïve style, almost like children’s drawings, while still with a deep artistic impression. 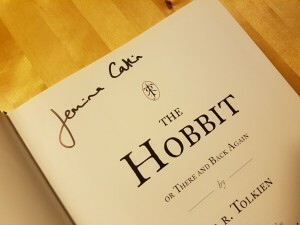 Another great addition to my ever growing list of Hobbits. 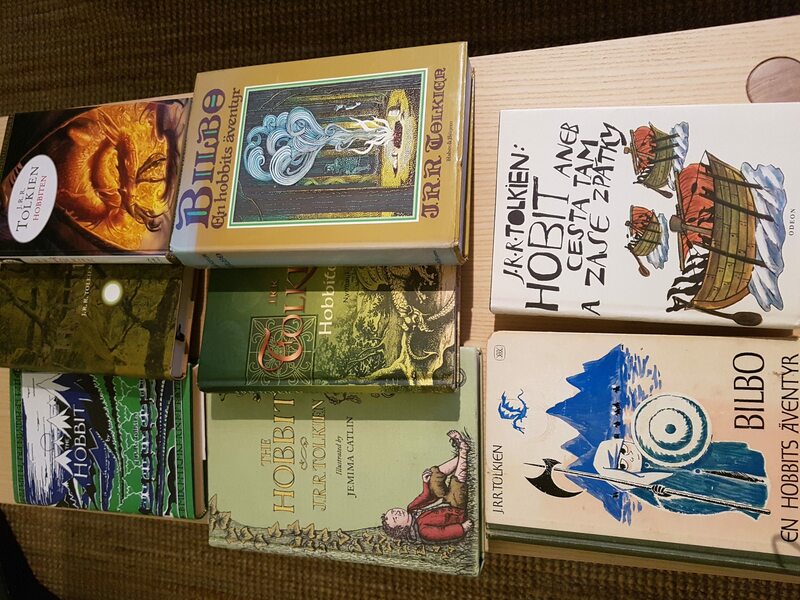 I read Tolkien’s canon every year around Christmas. So also this year. 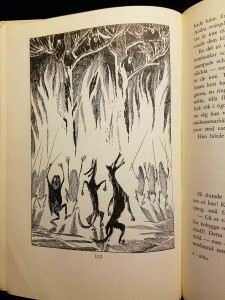 One of Tolkien’s themes revisited in several of his works, is the fall from greatness. In The Lord of the Rings, Gandalf tells us that “Nothing is evil in the beginning. Even Sauron was not so.” The all-evil Sauron, the big foe of the world, started out as a good guy, one of the sevants of Melkor. And in the Silmarillion it is told that his master, Morgoth, the black enemy of all elves and men, was once Melkor, the mightiest of the Mayar, the angelic beings of Eru Illúvatar. Instead of serving and building, Melkor rebelled, and in his pride, wanted to rule the world that the Maiar achieved. So Melkor, He who arises in might became he that fell to darkness. The greatest of the Noldorin elves was Fëanor, for he was “made the mightiest in all parts of body and mind: in valour, in endurance, in beauty, in understanding, in skill, in strength and subtlety alike: of all the Children of Ilúvatar, and a bright flame was in him.” Fëanor makes great works. 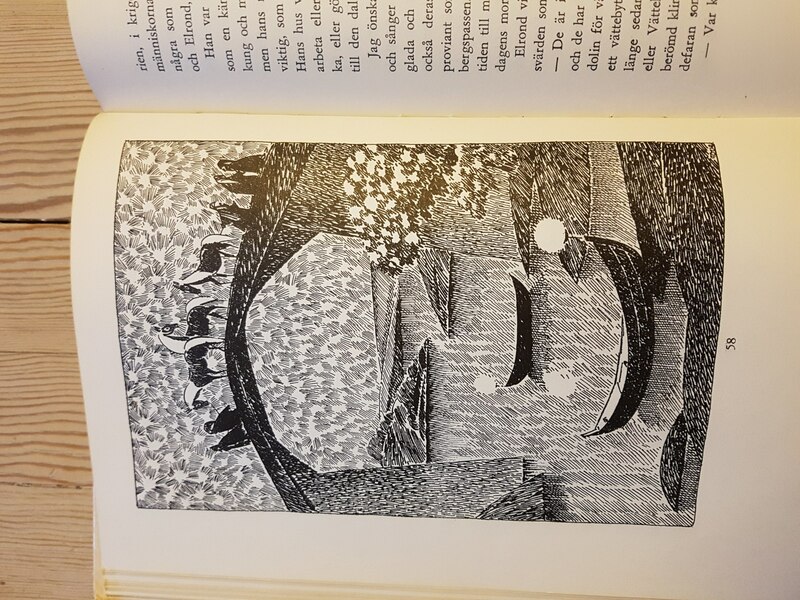 Tolkien, with his love for language, shows the greatness of him by telling how Fëanor bettered the runes, and created the letters for writing with pen, that were still used by elves and men in Middle-earth, thousands of years later. 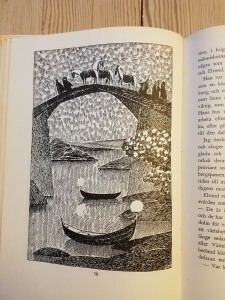 Even Gandalf recognices Fëanor’s gift for craft, when he feels the desire of the palantír, which he presumes was made by him: “to look across the wide seas of water and of time to Tirion the Fair, and perceive the unimaginable hand and mind of Fëanor at their work, while both the White Tree and the Golden were in flower!” And he even made the silmarills, greatest and most beautiful of all the gems of the World. But Fëanor turns to madness and evil. By his might in words, he turns the Noldor against the Valar, and sets them marching out of the blessed realm of Valinor. He fights and slays his kin at the Swan Havens of Alqualondë. He leaves his followers to shame or a terrible and dangerous march, when burning the stolen ships after crossing back to Middle-earth. He, the greatest of all the Noldor falls, and his fall is great. Of the Ístari, the wizards, Saruman the White, is the chief and leader. He is the greatest in skill of mind and of lore, and has the gift of turning all to his will by speech. Gandalf calls him the head of his order. 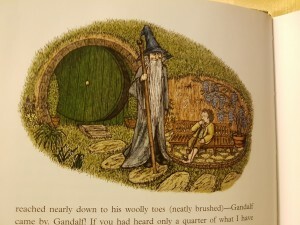 Later Frodo will not have Sharkey killed, for “he was great once, of a noble kind, that we should not dare to raise our hands against.” But as Gandalf says, “he will not serve, only command”, and Saruman falls from his noble quest of helping men and elves against Sauron, to become a war-lord, rivaling Sauron himself. 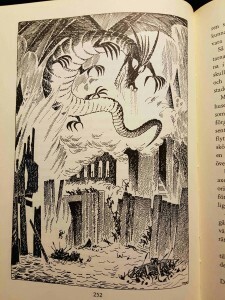 Tolkien’s themes about the great ones who fall, resembles the story of Ikaros, who achieved the gift of flying by gluing feathers to his body by wax, but in his pride, he flew too close to the sun, so the wax melted, and he fell from the sky. The ones with the greatest power, are always in the danger of taking too much pride of their work and themselves, and turn from serving others in humility, to seeking power and dominion over others. That is evil in Tolkien’s works. 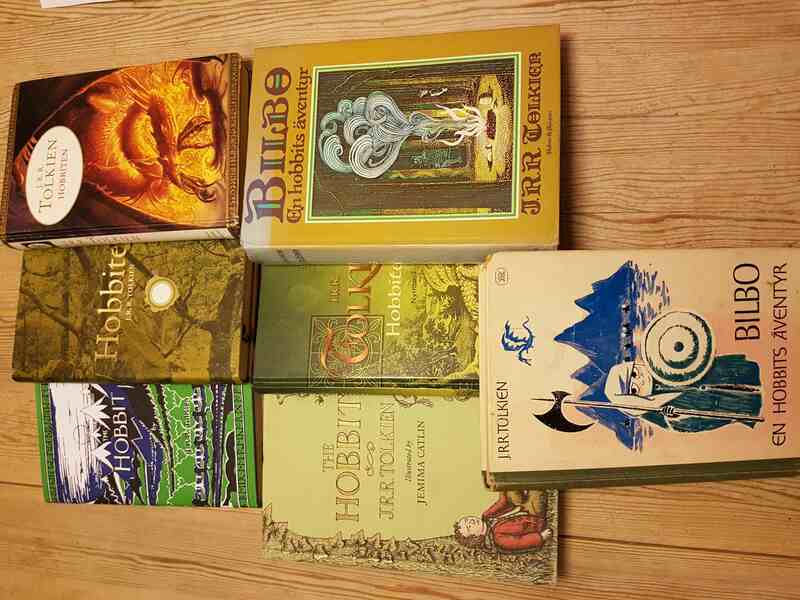 I read Tolkien’s “canon”, that is, The Silmarillion, The Hobbit, The Lord of the Rings, every year. So also this year. 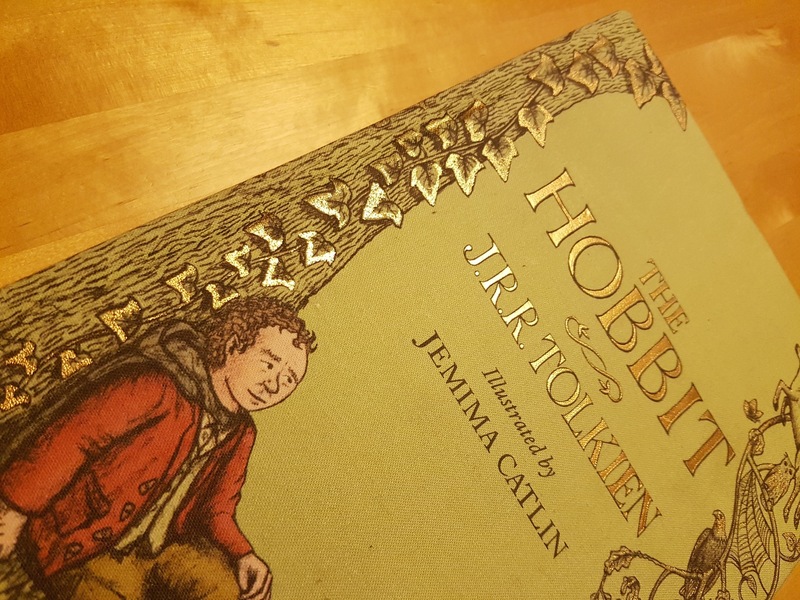 There are a lot of things to say about the Hobbit, but this year, I’d just like to show off my new copy of the book, beautifully illustrated by the illustrous illustrator Jemima Catlin. I picked this up in a used book store, and hey, it was even signed by the illustrator! Fits nicely in my growing collection of Hobbit versions. 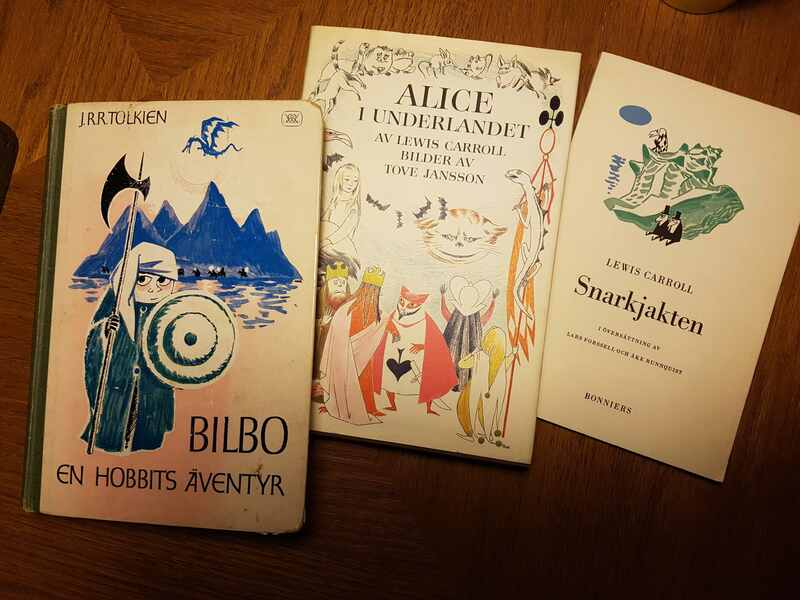 I read Tolkien’s “canon”, that is The Hobbit, The Lord of the Rings, and The Silmarillion, every year about christmas. So also this year. 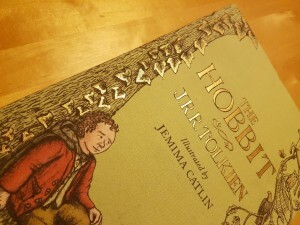 In chapter two of The Lord of the Rings, we find a short note on one of Bilbo Baggins’ relations, the young Angelica. 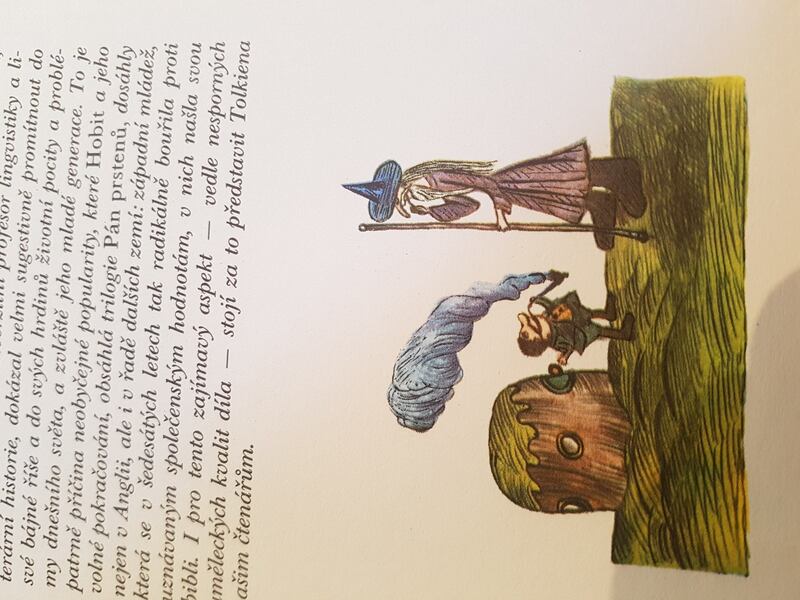 Bilbo leaves her a round convex mirror as a farewell gift, and tags it with “For Angelica’s use”, and the author adds that “She was a young Baggins, and too obviously considered her face shapely”. Now, a couple of questions arise at once: Why in Middle-earth would Bilbo own a non-flat mirror like this? Is it clown-mirror, left-over from some carneval party, or just some other old strange mathom? One might also worry about Angelica’s reaction. As a youngster, isn’t this a bit harsh from old Bilbo to tease her for her caring about her looks? A convex looking-glass is of course a woman’s make-up mirror, as the curved surface makes it magnifying. 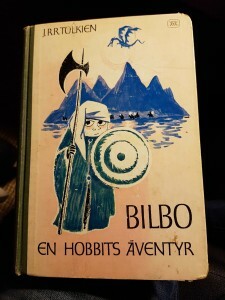 And Bilbo being a bachelor, obviously must have inherited this from his mother, Belladonna Took. As Belladonna was of a wealthy family, and as Bilbo had taken care of her mirror for all the years after her death, it must have been quite a heirloom, and just not another mathom. I presume a frame of victorian style silver plated engravings at least. So giving Angelica his mother’s mirror, with a tongue-in-cheek joke, would be a kind gift from old uncle Bilbo, and it was probably warmly received by her. 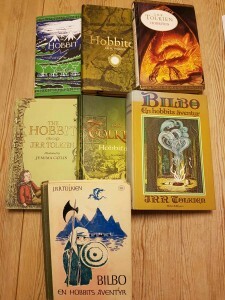 Around christmas, every year, I read Tolkien’s “canon”, that is, The Hobbit, The Lord of the Rings, and The Silmarillion. So also this year. And this year’s theme from the Silmarillion is … death. How depressing! Or is it? Several times after his books took off into a success, Tolkien was asked what they were really about. What was the main theme in The Lord of the Rings, and his other texts? One of the answers he gave, perhaps with the tongue in his cheek, was that ultimately, they were about Death. 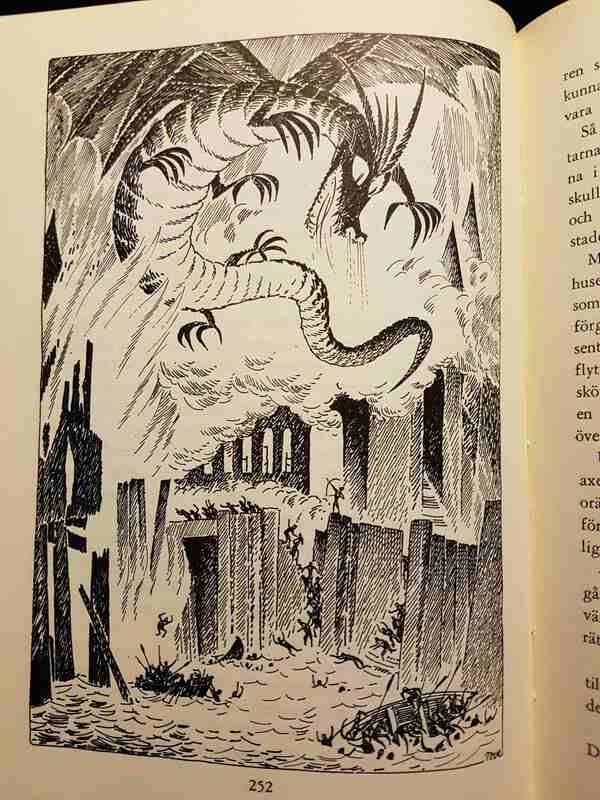 Reading the Silmarillion, this is more visible than in most of the rest of the legendarium. There is death, sure there is, in The Hobbit and The Lord of the Rings, but death, and the fear of it, not as present as in the Silmarillion. Before some unknown happening in man’s existence (hints of a fall to sin exists in Letters and The History of Middle-earth, but this was dropped in the later Silmarillion), death was the gift of God (Eru Ilúvatar) to man. 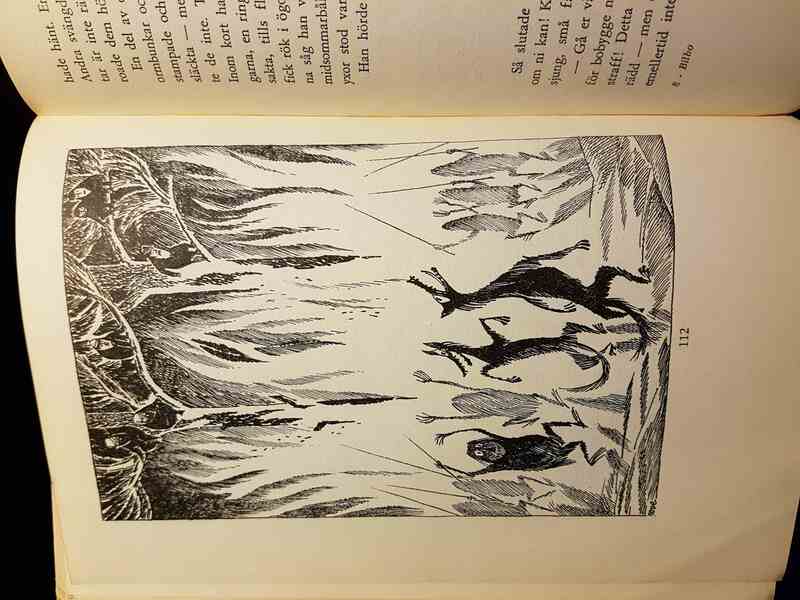 What happens after death, the Elves (that has the point of view in the Silmarillion), do not know, and to them, death by age is a strange thing. As they say in Of the beginning of days: whereas to men, he gave strange gifts. But men should trust Eru, and receive death without fearing the unknown. But Morgoth, the Enemy, brings fright of the everlasting darkness to them, and they tend to envy the elves for their immortality within this world. 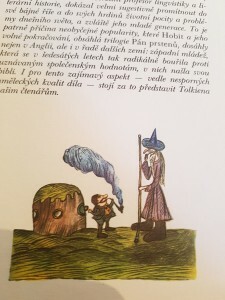 Accepting death as it comes, and not strive for longer life, is presented by Tolkien as a purity. And it is a common mark of a corrupted society when this does not happen. So when Theoden dies in battle, or Aragorn lies down to rest after all his deeds, this is a Good Thing. But as heraldry and strong elixirs becomes more important than faithfully giving power over to your heir, Númenor and Gondor wanes. Most visible in the legendarium is this in Númenor. The first kings of the Land of the Star live to a very old age, and when their time comes, they give their crown to their heir when he or she comes to age and hood, and then go to rest. And the people followed their king. But as we read in the Akallabêth, when Sauron gets power over the king, the fear of the darkness comes, and the strive to longer life reappears, as their actual life grows shorter. Parallely, we get the kings’ hunger for power, strife between the Númenoreans and enslavement of the people of the coasts. The unwillingness to accept death as a part of life, and a hope, makes the societies of Middle-Earth suffer. This reappearing mode must have been important for Tolkien, and his catholic christian view shines through: Death is not to be feared, for there is hope after death. As Aragorn says to Arwen at his deathbed: Behold, we are not bound for ever to the circles of the world, and beyond them is more than memory. J.R.R. 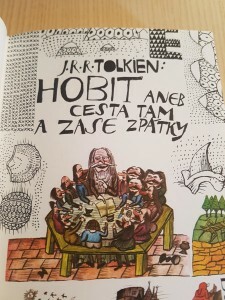 Tolkien: The Hobbit, TBOFA extended ed. I read J.R.R. 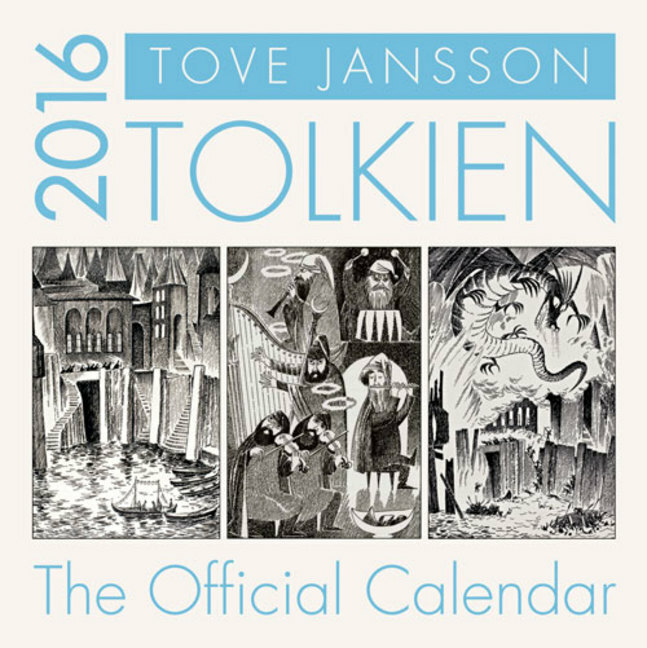 Tolkien’s “canon”, that is, The Hobbit, The Lord of the Rings, and the Silmarillion, every Christmas. So also this year. Not much to post about The Hobbit this year, except that I also watched the extended edition of The Battle of the Five Armies some time ago. And I enjoyed it. There are things to say about Peter Jackson’s Hobbit project, and I’ve actually already said a bit about the theater version. The extended edition, in plain 2D on a decent TV screen is a better film. There are things to dislike. How come Galadriel is the most powerful of the White Counsil? (Or is she?) The bunny sleigh is always annoying, and Legolas running up falling rocks is still a bit too disneyish for my taste. But hey, we also got more Beorn, more Esgaroth, and more Dale. That counterweights a lot. But what gave me most in this version, compared to the theater one, is the feeling of closure. We get Thorin, Fili and Kili’s funeral. Thorin has the Arkenstone on his breast, and Daín is crowned king. This is very satisfactory, and was reason enough for me to watch the movie.